Los Angeles, CA, January 10, 2018	(Newswire.com) - On Saturday, February 17 at UCLA’s Royce Hall, the American Youth Symphony (AYS) and Resident Conductor Juan Felipe Molano celebrate the centennial of musical legend Leonard Bernstein with two free performances: the full Centennial Concert at 7pm, and at 2pm, an educational journey through selections from the evening repertoire, with guiding narration from Maestro Molano, in the educational tradition of Leonard Bernstein's Young People's Concerts. 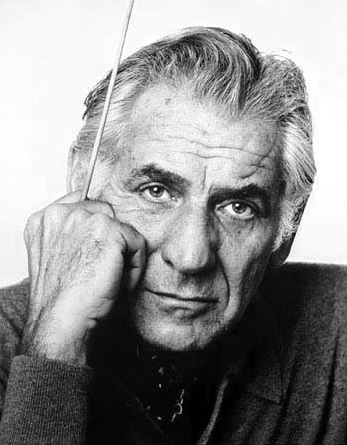 Composer and conductor Leonard Bernstein is renowned as one of the first American classical music icons to reach international stardom. In addition to serving as the Music Director of the New York Philharmonic for 11 years, Bernstein is known for being a pioneering educator. His Young Peoples’s Concerts, a CBS show that began in 1957, featured Bernstein leading the New York Philharmonic and teaching viewers about classical music. Bernstein’s birthday, August 25, 1918, serves as AYS’ inspiration to celebrate Bernstein’s Centennial this season. Both concerts will feature works composed and inspired by him, including: Aaron Copland’s Four Dance Episodes from Rodeo, Charles Ives’ Three Places in New England, and Bernstein’s Divertimento and Symphonic Dances from West Side Story. AYS resident conductor Juan Felipe Molano graduated with special honors from the Vienna Conservatory. He has not only led orchestras in a slate of locales across the globe including Spain, Italy, Germany and Colombia but has also displayed an unflagging commitment to furthering the field of classical music, having appeared as a speaker and leader at several international seminars, workshops and conferences. The American Youth Symphony’s mission is to inspire the future of classical music. The organization shares exceptional, innovative concerts based on a landmark Fellowship program for musicians in high school through doctoral music programs. Moreover, these concerts are offered for free or significantly reduced admission. Competitively selected, the orchestra is comprised of 100 musicians who represent extraordinary talent from all over the world. By gifting the community with remarkable concerts at world-class venues, the American Youth Symphony remains committed to creating access and opportunity for everyone to experience the inspiration of this beautiful art form.